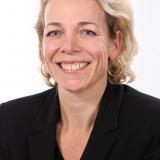 Nienke has 16 years experience in ship finance and offshore finance industry. She has structured and executed debt financings of different asset types various parties across the globe. Since October 2016, Nienke is head of ABN AMRO Energy EMEA, responsible for clients in the Energy space cross the value chain (Oil&Gas, Midstream, Offshore Services and Renewables). Before Nienke joined this team, she has been working in ship finance since 2001 in various roles. From 2008 through 2012, Nienke worked - first with Fortis, and after the merger, with ABN AMRO - in Singapore, where she was responsible for Korean and Singaporean clients. Nienke is a graduate from the Technical University of Delft in Maritime Engineering, with a specialisation in Offshore Engineering. Check out the incredible speaker line-up to see who will be joining Nienke .